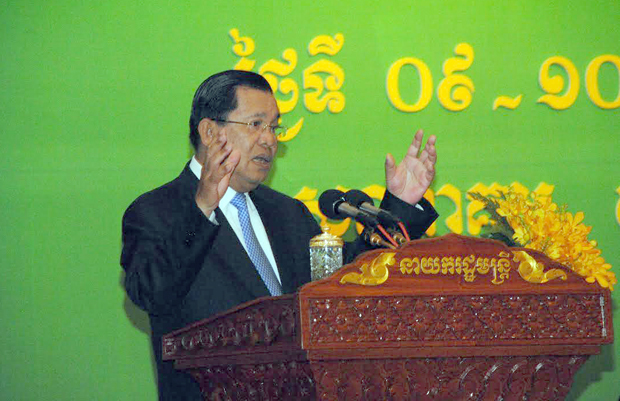 Prime Minister Samdech Akka Moha Sena Padei Techo Hun Sen has called for attention to the management of all health practitioners throughout the country. 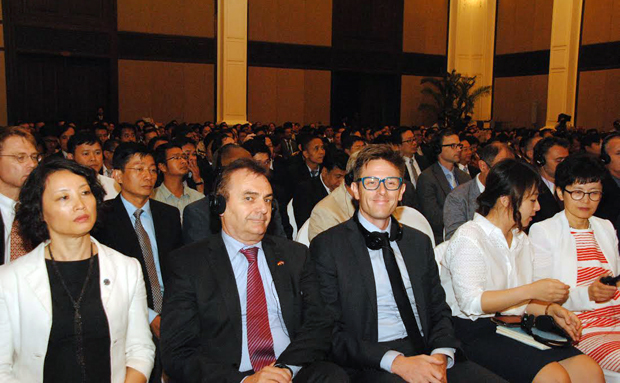 The mass HIV/AIDS infection in Roka Commune, Sangker district, Battambang, a northwestern province of Cambodia, is an important experience of medical practitioner management in the country, said the Cambodian premier while presiding over the closing ceremony of the 36th Health Conference in Phnom Penh. “At the beginning, I did not believe at all how could hundreds of people in a village be infected by HIV/AIDS. But after the research, I thought this was a big problem, and we need to work rigorously,” he added. Moreover, Samdech Techo Hun Sen appealed to people to believe in skillful medical experts instead of private health services. He also expressed his regret over the Roka case and asked all relevant parties to pay attention in dealing with this case. Between Dec. 08-31, 2014, a total of 1,940 people from Roka commune voluntarily undertook HIV testing and counseling and 212 people tested positive for HIV. Among the people who tested HIV positive, 174 (82%) are from Roka village. Among the total 212 diagnoses, 39 people (18%) are 14 years old or younger, 127 (60%) are between 15 and 59 years old and 46 (22%) are 60 years old or older. 75 people who tested positive also tested for the Hepatitis C Virus (HCV) and 36 (48%) were found positive for that virus as well. With this case, an unlicensed medical practitioner has been arrested and jailed on murder charges.